Verses 1-12: Christ has prepared ordinances to which his people are admitted, and by which nourishment is given here to those that believe in him, as well as mansions in heaven hereafter. The ministers of the gospel go forth to invite the guests. The call is general, and shuts out none that do not shut out themselves. Our Saviour came, not to call the righteous, but sinners; not the wise in their own eyes, who say they see. We must keep from the company and foolish pleasures of the ungodly, or we never can enjoy the pleasures of a holy life. It is vain to seek the company of wicked men in the hope of doing them good; we are far more likely to be corrupted by them. It is not enough to forsake the foolish, we must join those that walk in wisdom. There is no true wisdom but in the way of religion, no true life but in the end of that way. Here is the happiness of those that embrace it. A man cannot be profitable to God; it is for our own good. Observe the shame and ruin of those who slight it. God is not the Author of sin: and Satan can only tempt, he cannot force. Thou shalt bear the loss of that which thou scornest: it will add to thy condemnation. Verses 13-18: How diligent the tempter is, to seduce unwary souls into sin! Carnal, sensual pleasure, stupifies conscience, and puts out the sparks of conviction. This tempter has no solid reason to offer; and where she gets dominion in a soul, all knowledge of holy things is lost and forgotten. She is very violent and pressing. We need to seek and pray for true wisdom, for Satan has many ways to withdraw our souls from Christ. Not only worldly lusts and abandoned seducers prove fatal to the souls of men; but false teachers, with doctrines that flatter pride and give liberty to lusts, destroy thousands. They especially draw off such as have received only partial serious impressions. The depths of Satan are depths of hell; and sin, without remorse, is ruin, ruin without remedy. Solomon shows the hook; those that believe him, will not meddle with the bait. Behold the wretched, empty, unsatisfying, deceitful, and stolen pleasure sin proposes; and may our souls be so desirous of the everlasting enjoyment of Christ, that on earth we may live to him, daily, by faith, and ere long be with him in glory. Each day we walk through the Bible chapter by chapter making an application of our text to help us grow in the Lord. Many applications can be made from each day's text. 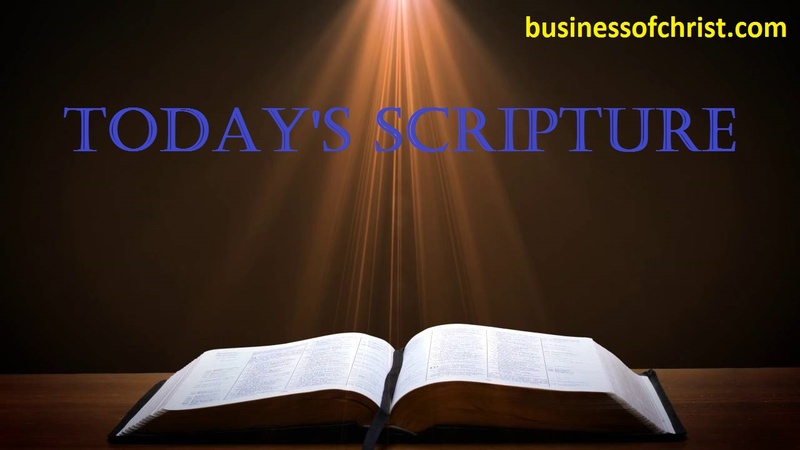 Today we continue with the Book of Proverbs with Chapter 9. In our text today we see how Wisdom is its own reward as it a foundation on which we build. Our text points out that that the fear, or reverence, of the Lord is beginning of wisdom and the foundation to which we build our lives. In making application we see that putting God first is bases on which we build all things in our lives. From Spiritual, to Relational, to Financial, etc. it is this foundation of putting God first that will allow us to stand no matter what life throws at us. How about you? Do you put God first? Let us learn from our text today to remember to put God first, to fear Him, as He is the Foundation to which we build a successful, happy, fulfilling Christian life.